This is new designed all made in Japan ‘Clear force Lightning-3.5φ’, cable for lightning connectors. It can connect from lightning jack to 3.5φterminal. 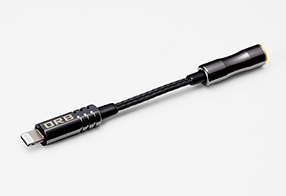 Every single cable is carefully crafted by ORB’s master craft-man by hand. Each component part is careful selected. 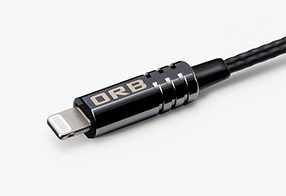 ORB’s original PC-triple C cable PT-4, Japanese Toh-pra connector’s 3.5φ jack and using original Apple lightning connector circuit for long life use. Even we creator new connector cover shell for making good sound. Using Apple’s original lightning circuit for this cable and others are all ORB’s original component parts. The lightning terminal is cover with our original tin cover shell. Our original PC-triple C cable ‘PT-4’ and Japanese high glade aluminum 3.5φ inlet jack. Crafted carefully and detailed by our master craft-man by hand. 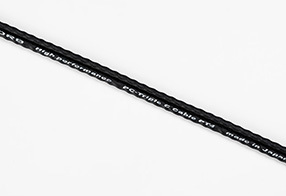 Our original gun metallic plate gives this cable.